About Paint Sealant Sealants and traditional Car Waxes are as different as Apples and Oranges . Although car waxes can provide a continued shine to your vehicle, the duration of that shine is limited, as they typically only coat the exterior of a vehicles painted surface. Most industry professionals agree that Car Waxes last only 1-4 months. Paint Sealants, typically professionally applied, can provide a continued shine and bond to the vehicles paint. These products are far more resistant to breakdown and protect against today's harmful elements, such as Acid Rain, Pollution, Salts, Bird Droppings, Tree Sap, Bugs, Road Tar, etc. Properly applied, Paint Sealants typically last 6-12 months. The sooner that a Paint Sealant is applied to a vehicles' painted surface, the longer its' protection and the more resistant to oxidation the bonded surface becomes. As with any coating product, reapplication is a MUST. Despite competitive claims, no one product lasts forever. Everyday driving and exposure to natures' elements vary by driver and area , as well as the varied climates that vehicles are exposed to. Thus is the reason that we recommended at 6-month intervals a reapplication . Don't pay those high dealer prices for vehicle protection. 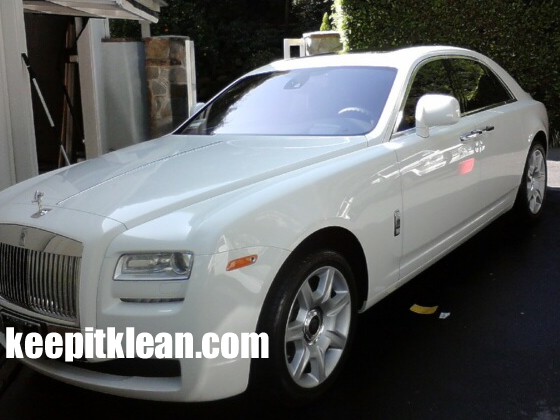 Keep It Klean uses the highest quality products available. This service includes an exterior detail to prepare the finish, professional paint sealant, fabric and carpet protectant and leather conditioner.